Since 1987, PDG has cultivated a network of experts from across the higher education financial spectrum, including treasury, procurement, receivables, and collections. Here you can learn about our top professionals' backgrounds and peruse a list of their most popular sessions, each of which are available for purchase through either P.A.S.S. or one of PDG's Certificate programs. Laurie Beets is currently the Bursar/Director of Student Loans & Debt Management at Oklahoma State University in Stillwater with 22+ years of experience in higher education. She is a CPA and has a Master’s Degree in Educational Leadership Studies with a higher education emphasis. Laurie is also a Certified Fraud Examiner. She has served as a member of the Board of Directors for the Coalition of Higher Education Assistance Organization (COHEAO). Laurie is a graduate of the SACUBO College of Business Management Institute and is a recipient of the OSU Staff Advisory Distinguished Service Award. Prior to joining OSU in 1994, Laurie worked in the banking industry and with the Resolution Trust Corporation. Unique Departments within Cards, How Do You Manage These? What is the Impact of Shutting Down Cards? Karen Brookbanks is the Manager of the Purchasing Card Programs at the University of Arizona. She is a Certified Purchasing Manager (C.P.M. ), a Certified Professional Public Buyer (CPPB), and a Certified Purchasing Card Professional (CPCP). Her Primary responsibilities at the University of Arizona include but are not limited to; Purchasing Card Policy & Procedural Management, Training, Compliance and Oversight of the Procurement Card Program. Karen’s background includes over 20 years of experience in the procurement field in the private and public sectors. Christina Cardinale is the Assistant Director of Student Accounts and Bursar Services at Manhattan College in Riverdale, New York. She completed her Bachelor’s degree in Marketing while working full-time and is now working on her Master’s degree in Mental Health Counseling. In 2001, Christina began working at Manhattan College as a Student Services Representative in the Office of Student Financial Services, and worked her way up to the Assistant Director of Student Accounts and Bursar Services. With experience in both Student Accounts and Financial Aid, Christina has proven to be an asset to Manhattan College. Christina works closely with the Veteran student population, international students, accounts in collections and is the Perkins Loan administrator. Christina serves on Manhattan College’s Advisory Committee on Diversity, the Lasallian Education Committee, LAMM and is a member of NYSOBBA, NAVPA and EARMA. In 2012-2013, Christina was named the Distinguished Lasallian of the Year. Prior to working at Manhattan College, Christina worked at Toys R Us, supervising customer service, the front end, the sales floor and was the Human Resources Department Head. 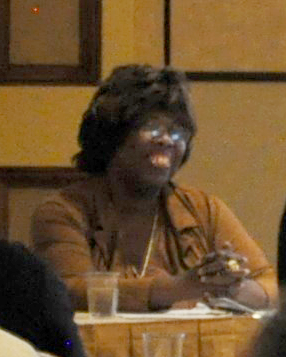 Charmaine Daniels has been the Director of Student Accounts at Georgia State University since 2010. Over her fifteen years in the student financial services industry, Charmaine has developed and led the implementation for innovative award-winning initiatives to help students and parents better manage their finances. While at Georgia State, Charmaine has led successful implementations of several projects including an online billing and payment system, a debit card refund program, and an internal collections due diligence system. Most recently, Charmaine has been leading Georgia State’s financial literacy initiatives including opening their Student Financial Management Center that focuses on using data to develop financial interventions for students. Charmaine has earned a Bachelor’s degree in Business Administration from Florida A&M University, a Master of Public Administration from the University of Illinois at Chicago, and an MBA from Georgia State University. Bill Edmunds is President and Principal Consultant of Virginia-based Gentleman’s C Higher Ed Consulting and is a Higher Education efficiency consultant and conference speaker specializing in business process improvement, corporate turnarounds, and organizational strategic planning. Throughout his 30-year professional career and in his current roles, he helps organizations achieve quality, efficiency, and process re-engineering excellence in order to enhance revenue, control costs, improve service levels and create Continuous Improvement cultures. He has acted as a change management leader in Higher Education as well as aerospace, professional services, defense, healthcare, state & local government business segments. Recent clients that Bill has worked with include the Tennessee Board of Regents and Wayne State University. He is also a policy advisor to political campaigns and active in Medicaid reform. Darla Freeborn has been the Bursar at Whitworth University in Spokane, Washington, for over 16 years. She holds a Bachelor’s degree in History Education and a Master’s degree in Education Administration. Darla oversees the operations of the University cashier, student accounts and collections, and the Perkins and Institutional Loan office. She has overseen the development and implementation of a number of electronic and paperless applications. She currently serves on Whitworth’s Educational Review Board, Retention Task Force, Financial Literacy Team, and several other committees. She regularly presents information at on-campus student financial literacy and orientation sessions. Prior to joining the staff of Whitworth University, Darla was involved in business and industry. She was the staff accountant for a heavy highway construction company and the plant manager in a manufacturing facility. A 25+ year grizzled veteran of student accounts and receivables at Boston University, Wheaton College, Wellesley College, James Garrant is now the Director of Student Accounts at Lasell College in Newton Ma. He and his wife are the proud parents of a son Marcus, who is in his sophomore year at Boston University studying human physiology on his way to dental school, and a daughter Marissa, who is a high school senior deciding where to attend next year. His family lives in Wayland, MA and have recently adopted puppy, Nhalla, who will be a year in May. Barry Greenberg is the former Bursar at Southern Illinois University Edwardsville (SIUE). Prior to that he held the position of Audit Manager for the SIUE and SIU School of Medicine campuses. During his tenure as Bursar, Barry oversaw SIUE’s conversion to E-commerce applications, establishment of a satellite Bursar’s Office, and adoption of new customer service initiatives. In addition to his responsibilities at SIUE, Barry taught graduate finance courses as an adjunct faculty member at Webster University in St. Louis. Before his time at SIUE, Barry worked 22 years at Southwestern Bell Telephone Company and its corporate entity, SBC Communications. Ellen Harris-Small has over forty years of higher education experience working in the areas of student loans, collections, billing and debt management. Since her retirement in 2015, she has continued consulting, conducting training seminars and workshops. Ellen worked at Rutgers the State University of New Jersey, Temple University, Hahnemann Medical and Allied Health Professions University and Community College of Philadelphia. She has held the positions of Associate Director, Collection Manager and Accountant in the Financial Services Department, Bursar and Controllers Offices, and has served as a board member, president, financial officer, legislative and compliance chairperson and conference and program coordinator for regional and national professional organizations. Ellen is enjoying her retirement and is pursuing her love of art and writing. She still finds the time to work with college-aged youth in her community and church. Her most recent workshop was titled Comparing Apples to Apples - Understanding your Financial Aid Offers. Ellen is currently writing her first novel. Dolores is an Assistant Director in Procurement and Supplier Diversity Services at the University of Virginia. Dolores joined the University in 1981. Her in-depth knowledge of purchasing and accounts payable practices have enabled the University to implement successful procure to pay solutions. She implemented the University's first purchasing card program in 1995. Under her direction, it has grown to a 1500 card program with annual spend of $26 million. In addition to the purchasing card program, she was instrumental in the establishment of a ghost card program that pays $42 million in vendor invoices annually. She is a Certified Purchasing Card Professional (CPCP) from the National Association of Purchasing Card Professionals. Florianne Irwin joined Harvard University in May 2015 as Lead Administrator for their card programs. Prior to joining Harvard, she was Assistant Director of Procurement Services at the University of Vermont where she fully revamped all aspects of UVM’s card program from: RFP process, implementation, mandatory online training, data analytics for auditing and e-payables implementation. In addition to card program management, she has over 20-years of experience in various roles from supply chain management, accounting, finance, and ERP systems implementation. She currently serves on the Board of Directors for NAEP-New England as President. Mark has over thirty-five years of management experience spanning two centuries in banking, corporate and municipal finance, treasury operations and human resources. Mark is the principal and owner of his own firm, CZYK & Associates. Through his company, Mark provides consulting, training and professional speaking services to clients around the country. Through numerous writings, lectures, seminars and speaking engagements, Mark brings a unique, insightful and, many times, humorous perspective to contemporary issues facing non-profits, small businesses and corporate America today. Mark is a CTP (Certified Treasury Professional), has twice served on the Board of Directors of the Association for Financial Professionals (AFP), and has served for 17 years as a faculty member for the Graduate School of Banking at LSU in Baton Rouge. He is actively sought as an entertaining and informative conference keynote speaker and as a knowledgeable practitioner (some might even say an expert) on treasury management, financial operations and change management issues across the country. Mark received both his undergraduate degree and MBA from Oklahoma State University. Lesley Lackore is a program coordinator in the purchasing department at Iowa State University, with 16 years’ experience in purchasing card program administration. In addition to p-card responsibilities, she administers the university's e-procurement and web-based requisitioning systems. Lesley is a graduate of ISU, earning a BLS with emphasis in business and communication. In 2006, she earned the designation of Certified Purchasing Card Professional (CPCP) from the NAPCP. To take her mind off credit card fraud and cardholder misuse, Lesley directs a church choir, sings in a community concert choir, and caters to the needs of several spoiled house cats. 1098Ts and 1098Es – Why Does the IRS Hate Us So Much? 1098T's & 1098E's - The Forms We Love to Hate! Making Goals & Evaluations Count - What's the Final Destination? PCI Compliance - What Do You Mean It's Not Just an IT Issue? Geri Landwehr is the Bursar at the University of Northern Colorado. She has been in higher education for eighteen years, five years as the State Fund Accountant at the University and the last thirteen as the Bursar. Prior to that she worked in the K-12 environment. She has implemented Banner, eBilling, and payment plans at UNC as well as being the first university to waive out of the State of Colorado’s collection system to be able to use outside agencies to collect Perkins and AR accounts. Marty Newman is retired Assistant Director - Delegated Procurement at the University of Maryland. Prior to retirement, her responsibilities included managing the purchasing card, small order, and master contract programs; reviewing University units that have delegated purchasing authority; and providing procurement training to campus. Annual expenditures under Marty's management exceeded $120 million. Marty taught the following courses to UM staff: Procurement 101, Procurement Using Sponsored Program Funds, and Purchasing Card. Edgars Patani is a staff Auditor in the Department of Internal Audits and Compliance at Albany State University, located in Albany, Georgia. As an Internal Auditor, Edgars is tasked with assisting the University and Georgia Board of Regent in fulfilling its oversight responsibilities in mitigating material risks in major reporting areas by assessing the adequacy of control environments, risk management and control activities. Prior to his appointment as a staff Auditor, Edgars was the University Business Services Manager and P-Card Administrator for eight years. During this period his job responsibilities included developing policies, departmental strategic planning, negotiating and maintaining University Auxiliary Services contracts. These contracts comprises of dining, vending, and bookstore’s services. Edgars also oversaw the implementation of the University P-card system from a manual process to full automation. He holds the Georgia Certified Purchasing Card Administrator (GCPCA) and Certified Purchasing Card Professional (CPCP) certifications. Edgars also holds a doctorate degree in Business (DBA) with concentration in Accounting. Edgars is an adjunct faculty member at Albany State University College of Business where he teaches Introductory to Advanced Financial and Managerial Accounting courses. Carla Perez is currently the Bursar at University of Wisconsin at Madison, stepping into this position in Aug 2016. Carla oversees the bursar functions for UW which includes: cashiering, student accounts and collections, as well as Perkins administration. She holds a Bachelor’s degree in Accounting and a Master’s degree in Management Information Systems. Carla has over 25 years of Higher Education experience of which 16 were spent in the California State System. Since leaving California she has worked for Bates College in Maine, Brown University in Rhode Island, University of Illinois, New Jersey Institute of Technology, Rice University and UW Madison. Ashru has been at North Carolina State University for the last 12 years. She worked in Finance and Business roles for 9 years and for the last 3 years has been university’s PCard Program Manager. In her current role as the Program Manager, she supervises the Program Administrators who are responsible for daily operations. She is responsible for the PCard Training program as well as the growth of the program which is today, the largest program in the State of North Carolina. 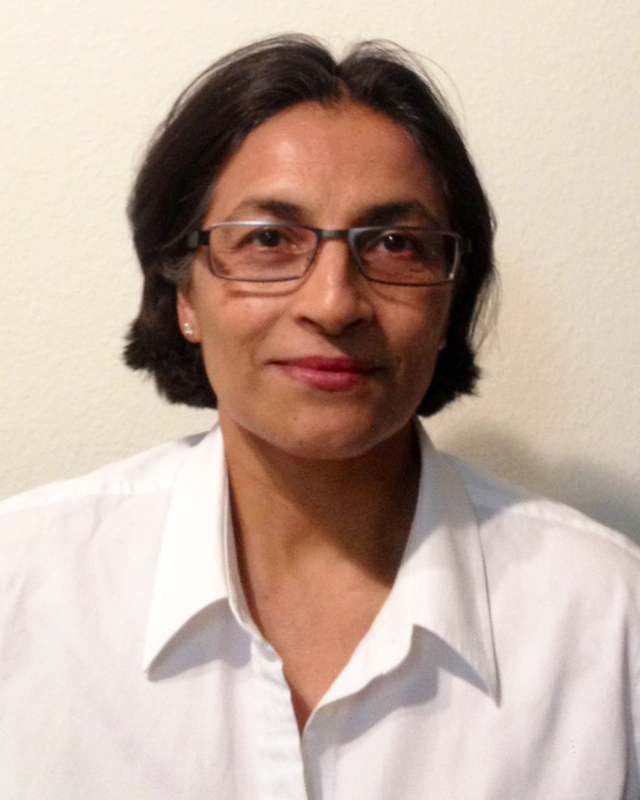 Prior to moving to North Carolina with her husband and 3 children, Ashru lived in the England and Kenya. In Kenya with her husband, she ran a manufacturing company and retail outlets.